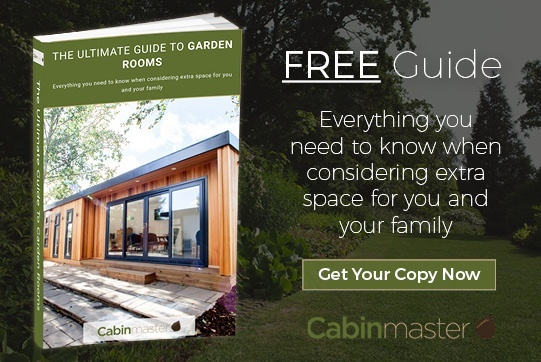 One of the best reasons to invest in a garden room is to make the most of your garden. But have you considered adding a decking area to really optimise your outdoor living space? When planning your garden room, adding matching decking can extend the living area and make the most of outdoor living. Whether you've opted to create a chic cocktail bar or a playroom that converts to a sleek and streamlined space in the evening, decking will really ramp up your entertaining space. When the weather's good, it's the perfect place to create an outdoor living room vibe with rugs, lighting and comfortable furniture. Add a barbecue or fire pit and you'll have the ideal outdoor party space. Decking is a stunning way of adding more visual interest to your garden room structure. You can choose to enhance curves or play up angularity with well-designed decking. This creates a seamless contemporary look that attracts the eye and adds even more value to your garden room. If you've created an outdoor lounge, then the addition of decking really optimises the space. There's no need to clutter up the garden - by creating a defined space for planters, a barbecue, and even a potting bench, you'll give your lawn, beds and borders a chance to really shine. In a smaller space, well-designed decking can actually make your garden seem larger simply by adding usable space. Explore ways in which your decking can be used to incorporate storage and you'll free up even more space. 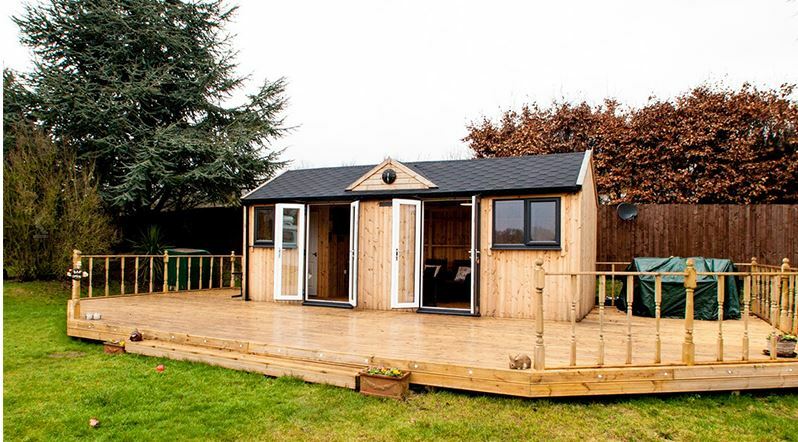 Think you can't add decking to your garden room because there's a tree in the way? Clever decking design can incorporate elements like trees and pre-existing garden features right into your decking. By incorporating natural and man-made design elements like brick and concrete, you'll create an eye-catching design - you can even re-purpose those elements as seating or planters. 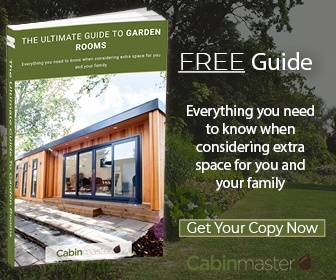 Why not opt for garden decking that links your garden room to your home? It's a striking feature that draws visitors effortlessly from one space to the next - and avoids muddy footprints in your indoor living spaces. Decking makes a stunning addition to your garden room by enhancing the outdoor setting and optimising every square inch of living space. 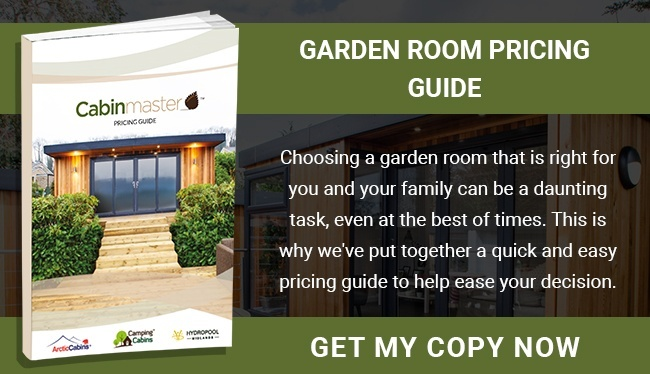 At Cabin Master, we can craft beautiful matching decking for your garden room - why not browse our gallery or contact us for your free consultation?